Live tweet with Canada on Wednesday! Join us on Wednesday (Oct 1) at 10pm ET (7pm PT) and live tweet along with the Canadian viewers when episode 1×05 airs on Showcase in Canada. 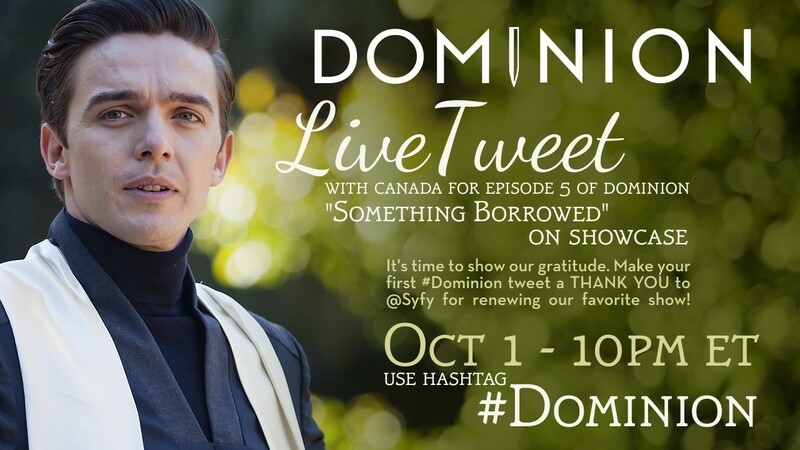 Please use the hashtag #Dominion, and it would be lovely if the first tweet you send off was a thank you note to @Syfy for renewing the show. Post-apocalyptic angel-war drama Dominion will return for a second season and alien-colonized Earth drama Defiance is getting a third round. Both will receive 13-episode orders from Universal Cable Productions. 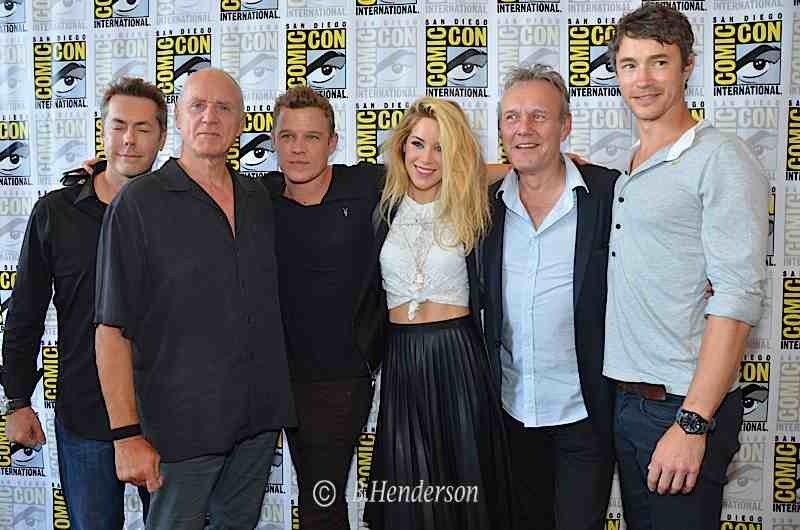 Kevin Murphy (Caprica) will resume his role as executive producer and showrunner of Defiance while Vaun Wilmott (Sons of Anarchy) will continue to fill the same posts for Dominion. The shows have averaged the exact same viewership on Thursday nights— 2.7 million viewers, and 1.2 million adults 18-49 (including seven days of DVR playback). Finally the news we have been waiting for finally posted. Can’t wait to see the cast again on the show next year.